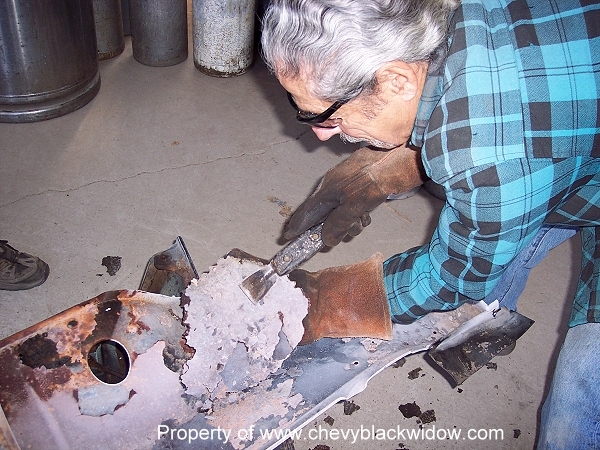 "Old Guy Scott" takes the hood and related sheet metal pieces to the local welding supply. 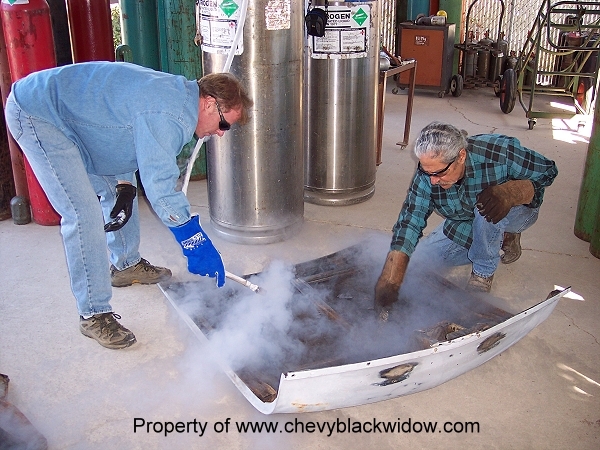 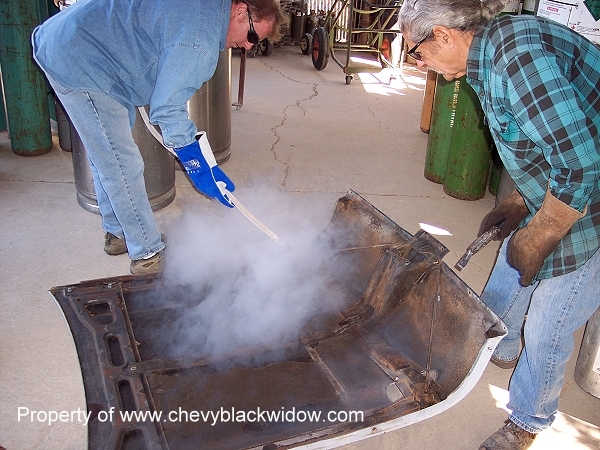 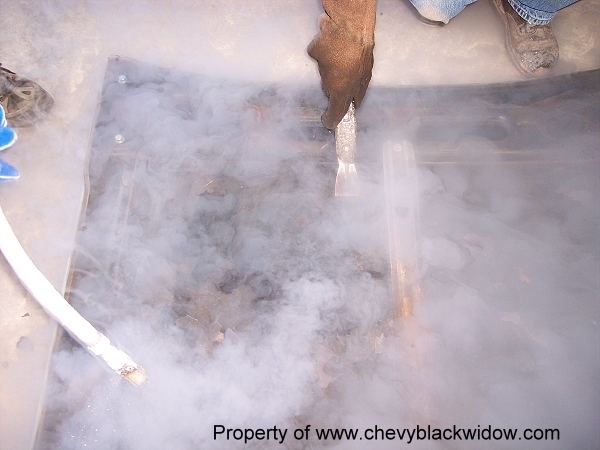 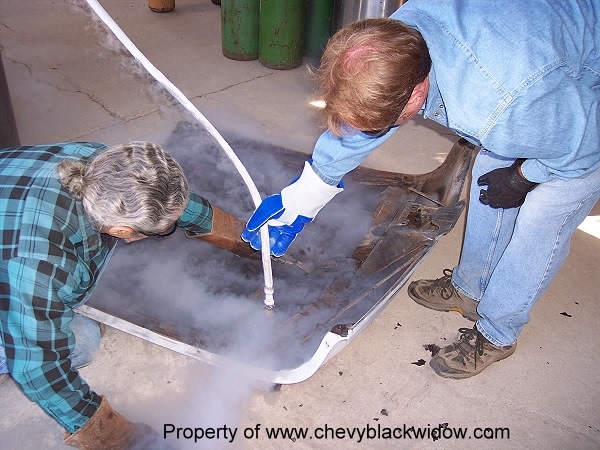 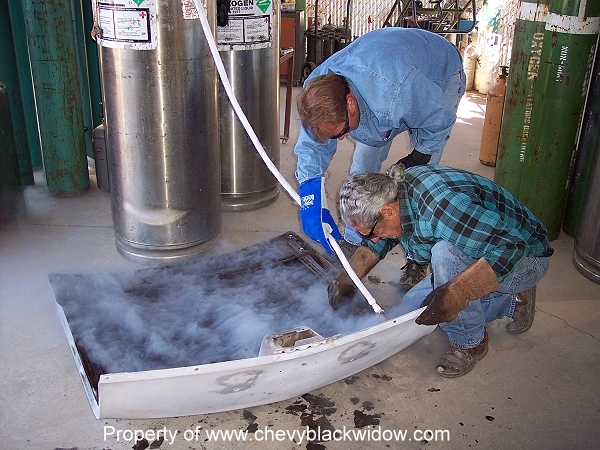 These photos show "Old Guy Scott" and supply shop manager Richard, using Liquid Nitrogen to loosen the old underseal on the remaining parts. 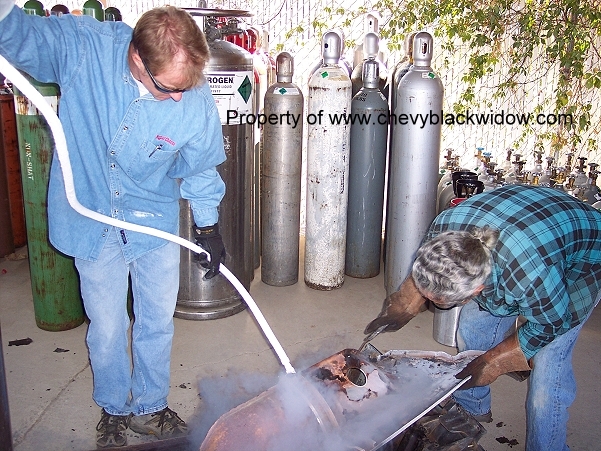 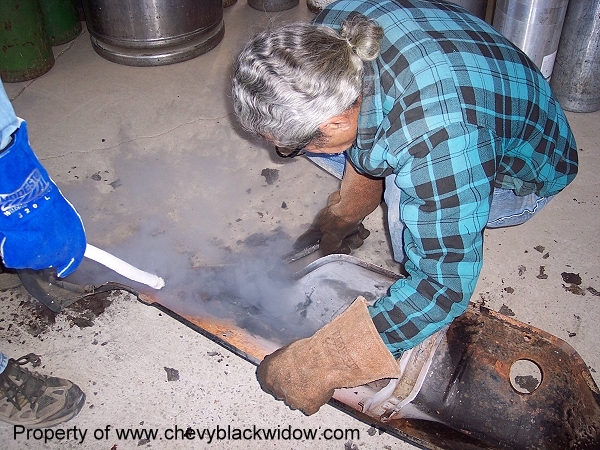 Without experience Do Not handle any Liquid Nitrogen, "Old Guy Scott" says to remember that. 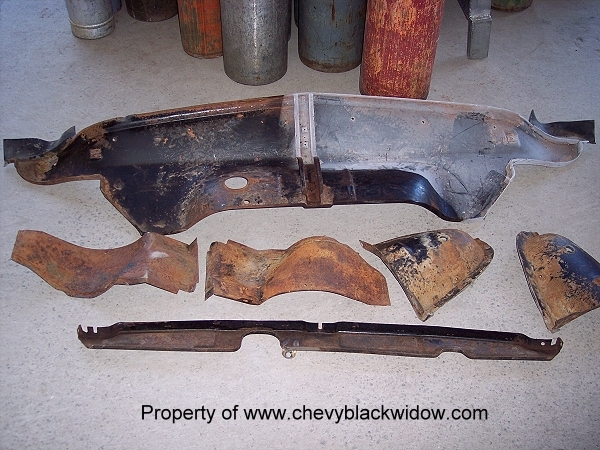 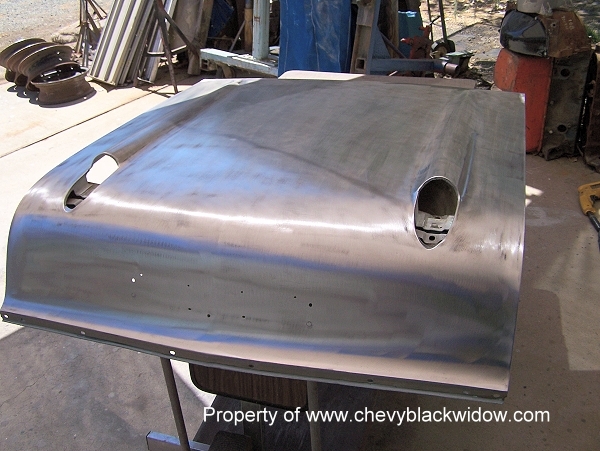 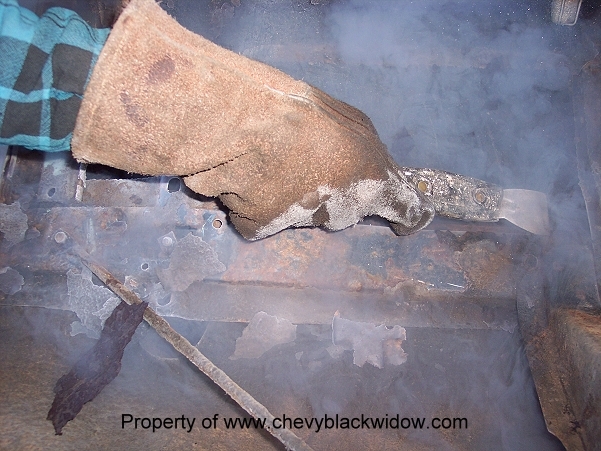 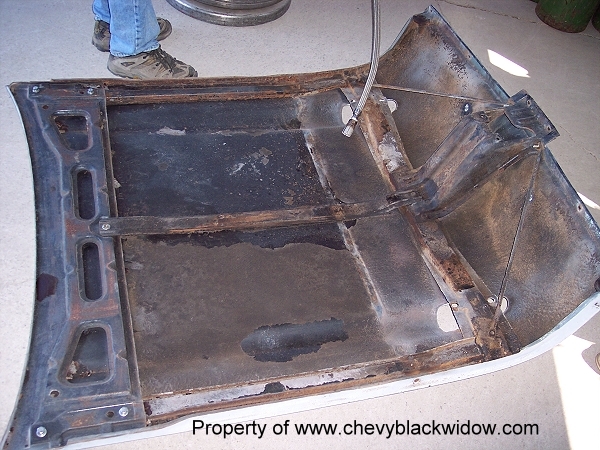 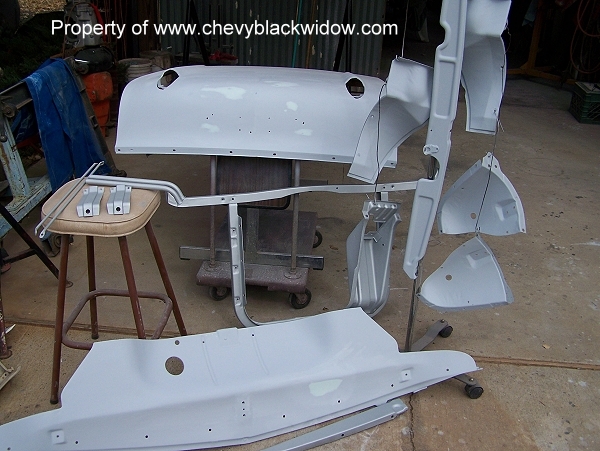 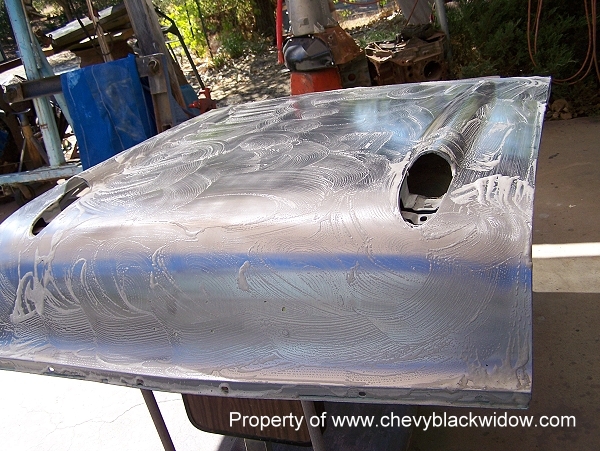 Follow along with the photos and you will see all these pieces become "like new" metal, then all in polyester primer.